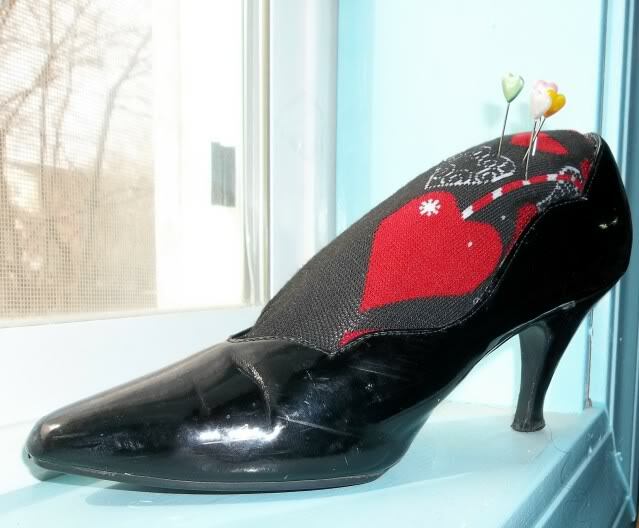 Craftster Community > HOME SWEET HOME > Crafty Housewares: Completed Projects: Reconstructed (Moderator: LovelyMiss) > High Heel Pin Cushion With a Video Tutorial Link! 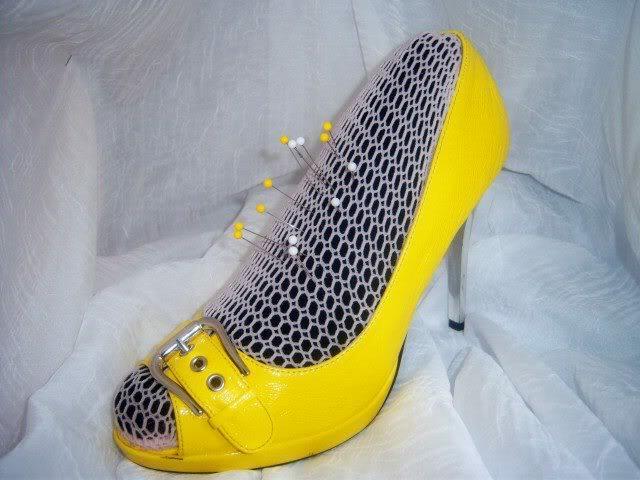 High Heel Pin Cushion With a Video Tutorial Link! I love my pin cushion.... I use it all the time! They are super easy and cheap to make. I wish I had thought of this years ago! Re: High Heel Pin Cushion With a Video Tutorial! What a cute idea! I might make one using one of my daughters toddler shoes! What a great idea, I love the yellow one! Now I have an excuse to buy more shoes! that cracks me up! I love it! Oh man, I bought a pair of shiny silver high heels from the thrift store to do this with ages ago, and then got lazy and never did it. They look great! I really do love mine. I use it all the time! Great idea, i have a 1940's vintage shoe of my grandmothers that's missing the mate, now i know what i can do with! Thanks for posting!